Yemen is on course for a famine whose death toll could reach the millions, says Oxfam America’s Scott Paul, an expert on humanitarian policy. 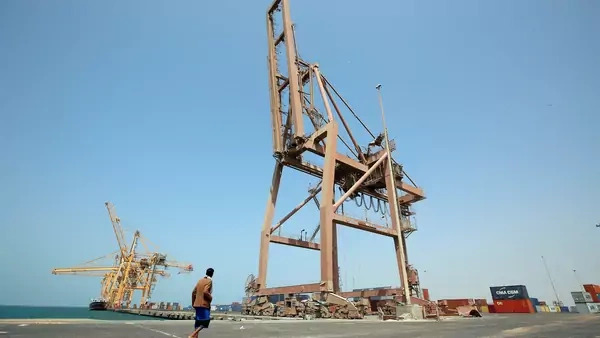 The country relies on imports for its fuel, food, and medicine, but shipments slowed to a trickle after Saudi Arabia began policing Yemeni ports in 2015 as part of a campaign to push Houthi rebels and their allies loyal to ousted President Ali Abdullah Saleh out of Sana’a. After intercepting a missile fired at Riyadh from Yemen in early November, Saudi Arabia ratcheted up its blockade, sealing off rebel-held ports. Though it has since permitted some humanitarian aid, only a resumption of commercial shipments can avert famine, Paul says. Three weeks after the Saudi-led coalition cut off access to rebel-held parts of Yemen, the first humanitarian shipments arrived on Sunday. Does this mark a loosening of the blockade? Essentially the blockade is still in place. Over the past three weeks, what started out as a total blockade morphed into a blockade of Houthi- and Saleh-held ports and crossings, including the port of Hodeidah. It’s the main artery for about 75 percent of Yemen’s population. Now humanitarian aid shipments may be let in, but in the big picture, little has changed. Without fuel, the predicted famine, the likes of which many of us have never lived through, will still be on track. The most important commodity is fuel, followed by food and medicine. Many parts of Yemen have already run out of fuel or will run out of fuel in the coming days. It’s needed to pump and treat water, run hospitals, and refrigerate everything from food to medicine, not to mention to enable transport of people and of aid workers. Without fuel, the predicted famine, the likes of which many of us have never lived through, will still be on track. But malnutrition and disease are already rampant? The post-apocalyptic nightmare is already here. Seventeen million people don’t know where they’re getting their next meal; that’s more than half the country. Seven million people are on the verge of famine. According to Save the Children, 130 children die every day there from preventable disease, largely stemming from malnutrition. UNICEF said a year ago that a child under five dies every ten minutes from preventable disease. That’s been the reality probably dating back to late 2015. It’s escalated gradually from that point. Broad segments of the population have been barely surviving, based on the little savings or credit that they or their neighbors have left. Interrupting the supply of fuel and food, such that food prices go up even further when no one has any income, endangers that broad swath of the population that’s just barely made it so far. Is that what would mark the tipping point into famine? A famine has to meet three thresholds: One is that at least one in five households in a given area faces an extreme food shortage. The second is that more than 30 percent of children under five suffer from acute malnutrition. The last is a mortality threshold: at least two out of every ten thousand people die every day. There’s also a high evidentiary threshold. In Yemen, populations are fairly disparate, other than in major population centers, and so collecting evidence is hard. Conditions in areas we can access are famine-like. If the situation with respect to commercial shipping doesn't change, and [perhaps] even if it does, based on the damage that’s already been done to the food and fuel pipeline, there will be a famine, the largest we’ve seen in many decades. The evidence will be impossible to ignore. On the demand side, are the economics of the war driving food insecurity? When I was last in Yemen, you’d go to the store and find fresh food on the shelf. Small amounts of food are getting in overland, usually from Saudi Arabia. The problem is that bulk staples come into Yemen predominantly by ship. Even before the escalation of the blockade, the measures that the Saudi-led coalition, together with the government of Yemen, put into place resulted in extraordinary delays for those deliveries and created a huge amount of uncertainty. Food shipments would sit offshore for two months. Every day that ships are out there they have to pay demurrage [charges], deal with spoilage, and pay their staff. It adds up. The net effect was the dramatic increase of food prices. At the same time, public servants have not been paid for more than a year and the private sector is crumbling because of poor government administration and because major factories and farms have been hit by shelling and air strikes. People have less money to buy more expensive goods and treatment. Do you have a sense of whether these most recent humanitarian shipments mark a change in policy? Allowing a World Food Program ship [carrying wheat] is a positive step, and the clearance of aid flights in and out of Sana’a is too, but no one should take for granted that the steps that have been announced will be fully and evenly implemented. Aid shipments are going to do a very small part of the job. From the moment this blockade was announced, the key issue has been commercial shipments into Hodeidah port. 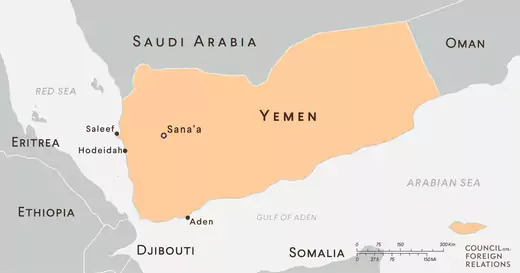 Hodeidah is the only port that has proximity to Sana’a and the [northern] highlands, water depth, commercial infrastructure, dock infrastructure, and distribution networks for large quantities of food, fuel, and other commodities. Other ports just can’t make up for that. Grain and fuel companies aren’t set up to do business [elsewhere]. Aid shipments are going to do a very small part of the job. My greatest fear is that people will hear they’re letting aid through, so they’ll think everything is fine. Does Saudi Arabia’s claim that it is enforcing an arms embargo, consistent with Security Council Resolution 2216, hold water? The resolution explicitly calls for all parties to enable humanitarian access. None of it calls for a set of measures to be applied to all shipments, particularly not those that cause extraordinary delays and explicitly not those that simply bar all humanitarian and commercial traffic. It’s been about a year and a half since the UN Verification and Inspection Mechanism (UNVIM) was put in place to streamline the implementation of 2216. The problem is that UNVIM has not been allowed to do its job as the exclusive screener for contraband. The coalition has maintained a duplicative and unnecessary parallel process throughout. It wants to inspect every ship coming in? As a matter of course, a ship that is cleared by UNVIM then needs to request clearance from the Saudi-led coalition. UNVIM usually provides clearance in twenty-four to seventy-two hours. The coalition’s process lasts much longer and is unnecessary, because there’s no evidence that fuel tankers or bulk carriers are carrying the contraband that the coalition wants to stop. This is not about preventing weapons shipments, because the ships that are being stopped have never even been alleged to contain weapons and are being screened by the United Nations. It has been clear for a long time that Saleef port and, in particular, Hodeidah port have been of huge strategic value to both sides. The fact that the Houthis control them has been a problem for the Saudi-led coalition and the government of Yemen. The United States has been backing the Saudi-led war, even as it has advocated for a negotiated settlement in Yemen. Can it reconcile those two positions? At a minimum, the diplomatic support and mid-air refueling that the United States has provided to the coalition create a moral responsibility to ensure humanitarian access and that the conflict is brought to an end as soon as possible. The coalition is prosecuting this war on the assumption of unlimited and indefinite support from the United States. International powers, the U.S. in particular, have been searching for balance in their diplomacy, because they recognize that Saudi Arabia faces a security threat on its southern border and are concerned about Iranian influence in the region. They want to balance that against the humanitarian situation. This is not a moment for balance, partly because the Saudi response bears no relation to the actual threat, but most importantly because we’re facing a catastrophe of historic proportions, with millions of lives at stake. The coalition is prosecuting this war on the assumption of unlimited and indefinite support from the United States. That is one of the chief obstacles to peace, and one of the chief obstacles to humanitarian relief. What indicators will you be looking for in the coming weeks? The first is fuel. It’s a race against time; every day fuel doesn’t come in condemns many more people to die, and if it doesn’t come in soon, we’ll see hundreds of thousands of deaths. If it doesn’t come in the foreseeable future, we're looking at a famine with millions of victims. The second is what Congress does. Members of Congress are considering a number of different measures to demonstrate dissatisfaction with the current policy. Congress can choose to withhold assistance to Saudi Arabia based on its human rights record or, more on point, its record now of obstructing delivery of U.S.-funded humanitarian assistance. It could also limit security cooperation [with Saudi Arabia], and in particular, block the sale of weapons to replenish those being used in Yemen. At a much more basic level, I think Congress will soon begin using its convening power and megaphone to demand a stop to the blockade and, more broadly, an end to the conflict. I’ll be looking to see what happens in the next meeting of the Quint. That’s the U.S., U.K., Saudi Arabia, and UAE, plus Oman. If it lays out an ambitious road map that takes into account the ambitions of all parties, that’ll be a positive step. If there’s a bland recommitment to a political settlement in the abstract, that’ll be more of the same, and a problem. Lastly, in February, UN Special Envoy [Ismail Ould Cheikh Ahmed] is set to be replaced. I hope that the person who comes in is backed by a strong Security Council resolution and a strong mandate, with the objective of a political settlement.